(NaturalNews) An abomination known as genome editing, or GMO 2.0, is rapidly gaining media attention as a more refined and accurate way of manipulating natural organisms at the genetic level to bring about desired results without error. But London-based molecular geneticist Dr. Michael Antoniou says the process is far from advanced and will lead to the same problems that we see with existing GMOs -- allergenicity, toxicity and nutritional abnormalities. Genome editing is described by the journal Science as a cutting-edge method of precisely altering gene expression in a given organism. It involves creating a man-made "gene drive," in which chosen genes are intentionally altered in order to stimulate biased inheritance for a certain gene sequence. And some scientists say it has the potential to revolutionize the way organisms coexist with one another, creating a safer and more desirable world. But many others question these claims, including a growing number of scientists who helped develop the concept of genome editing some 30 years ago. Little is known about the long-term consequences of altering genes that are perpetually passed on within a species, including how entire populations of wild organisms will exist and affect other organisms. In Dr. Antoniou's view, the so-called "precision editing" aspect of genome editing is myopic, at best. Not only would it take multiple rounds of genome editing just to change a single gene in the way that scientists propose, but with each subsequent change, the likelihood of what he says are damaging, off-target effects grows exponentially. "Changing the function of a single gene in a crop can have major undesirable knock-on effects, depending on the nature of the modification," he says. "Changes in genes coding for enzymes are particularly worrying as there is a high probability that this can change their specificity, leading to their being able to perform novel biochemical reactions." What he means by this is that the entire function of a given enzyme could potentially be altered or damaged as a result of one seemingly simple tweak to the genome sequence, leading to a string of other negative consequences that can never be stopped or reversed. 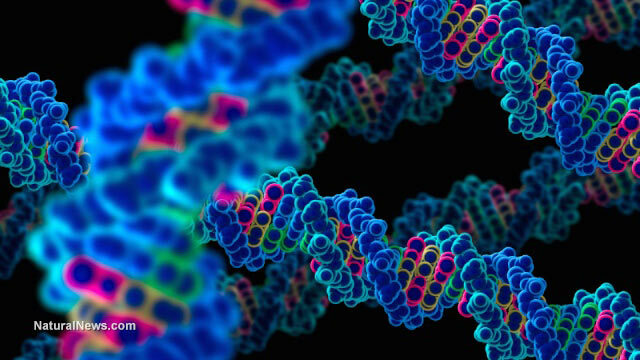 Gene function is a fully interconnected process, meaning if one gene is changed, many others will also be changed. "Gene function and the biochemical reactions they lead to are finely balanced," added Dr. Antoniou, as quoted by GMWatch. "If you simply disrupt ('knock-out') a gene function by gene editing you will inevitably (I would say) lead to unintended disturbances in biochemical pathways other than the one you are targeting." The result, he says, will be major increases in food toxicity and allergenicity, and possible disruptions to the normal nutritional balance and structure of foods. And in animals, such as GM mosquitoes being bred to slow diseases, the larger ecosystems in which they exist face irreversible changes that may eventually lead to a complete collapse of all life. "While the biotech sector has sought to trumpet the benefits and precision of gene editing, compared to existing GM technology, there are many uncertainties as regards the impact of gene-edited organisms on the environment and health," says the European Parliament's Green Party. "The Green Party believes that with these new technologies, with their often unknown side effects and impacts, it is important to maintain the precautionary principle," said Natalie Bennett, the leader of the Green Party. "These are genetic modifications using new techniques; they should be treated accordingly."